What does your time mean to you? As a contractor you will be only too aware of the value of your time, both financially and on a personal level. With contractor daily rates of pay ranging between £250 and £1000, time is most definitely money! Most contractors are also no strangers to long hours, making any leisure time that you do have all-the-more precious; time to recharge your batteries, pursue hobbies you enjoy or simply spend time with family and friends. With this valuable time in mind, is it any wonder that most contractors would choose to outsource as much of their accountancy and business related administration as possible? Unfortunately, this can be easier said than done. Finding a good contractor accountant isn’t particularly easy. Many so-called “contractor accountants” advertise themselves as such but are not actually regulated or qualified accountants. Even when you do find a contractor accountant with all the right credentials, many will still expect you to put in an awful lot of the legwork prior to them undertaking the true “accountancy” work for you. So, imagine finding a firm of accountants who were not only qualified, regulated, professional and reliable, but also prepared to do everything for you, enabling you to focus your time on being the best you can be for your client, as well as enjoying your leisure time, whilst always having that peace of mind of knowing that the administrative side of your business is in safe hands. Well, here at Freestyle Accounting we offer just that. Our “Everything done for you service” makes contracting through a limited company stress-free and easy. Like you, we know that this is the most tax efficient way of contracting, and therefore the best way to maximise your income, but we are also only too aware of the administration involved. Our clients are free to concentrate on their contracting role whilst we take care of their accountancy and associated administration. This enables them to do the best job they can for their client and consequently continue to build a strong and favourable reputation which will in turn develop their business. They also have the peace of mind of knowing that our experts (qualified accountants who specialise in the industry) are on hand for ongoing guidance and support throughout their contracting career. We offer everything you need in one fixed monthly fee with no hidden costs or add-ons. 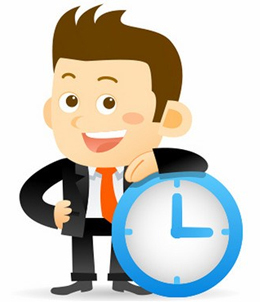 Our “Everything done for you” service is a premium level accountancy service for contractors wanting to concentrate on what they do best and not miss out on favourable daily rates or their limited leisure time for the sake of needing to do the accountancy administration for their limited company. As a result, when comparing our monthly fees with those of some other contractor accountants, you will notice differences. Offering a premium service means we simply can’t compete on price…. but neither would we want to. The added value we provide is of far greater value to our clients. Costs associated with being a firm of regulated and fully qualified accountants – As mentioned above, there are many businesses out there advertising themselves as contractor accountants who are neither fully qualified nor regulated. No matter how appealing their monthly fee may be, this is not what you need. Accountancy in general is complicated, particularly when you add in the complexities of the UK tax system, but accounting for contractors is a whole other level and as a result you need the advice of specialist contractor accountants, who through CPD (Continuing Professional Development) stay fully up to date with the latest tax changes specific to the contractor industry. Our pledge to do everything for you – We will relieve you of all the accountancy related administration associated with your business but that takes far more time than simply preparing your accounts. The accountancy administration for your business will be in the safe hands of qualified employees at all times, giving you significant peace of mind. The cost of their time is reflected in our monthly fee. Our Unique Online Portal Saves You From any Nasty Tax Surprises – Our online portal has been designed by in-house tax experts to protect you from any potential pitfalls, by ensuring you reserve sufficient funds to pay your business AND personal tax when you need to. It will tell you exactly what you can take out of your business in salary, expenses and dividends, whilst doing all the clever calculations behind the scenes to reserve funds for your personal tax, corporation tax and VAT liability. All you need to do is keep your portal up-to-date with invoices and expenses, so the calculations are based on accurate information. Our mantra has always been to save our clients more in tax (& lack of penalties) each year than we charge in fees. We do that by keeping the old-fashioned part of accountancy – qualified people who check things are right – and combine it with just the right amount of technology to make us efficient, but not reliant upon it. Many of our competitors rely wholly on automation. This saves them money, hence the low fees, but no one is checking what you are doing. Human intervention, particularly by qualified accountants, is expensive but essential. We don’t simply rely on what has been entered onto your portal; we check everything monthly when we manually reconcile your online portal and bank accounts. We do it again at the year-end when we prepare your accounts to avoid any errors. Without such checks, inaccurate or incomplete information recorded in your portal would be used to prepare your statutory accounts and calculate your tax liability. At Freestyle Accounting, we are passionate about providing a fantastic level of service to our clients. Let us look after your business and never again will you need to think of your business administration in terms of the loss of either leisure time or financial reward. Please call 0800 954 2101 to find out more about our ‘Everything Done for You’ Service, or complete the form opposite for a Free Income Illustration! Complete the form below to receive a personalised income illustration showing you how much you can expect to earn from your Contract.